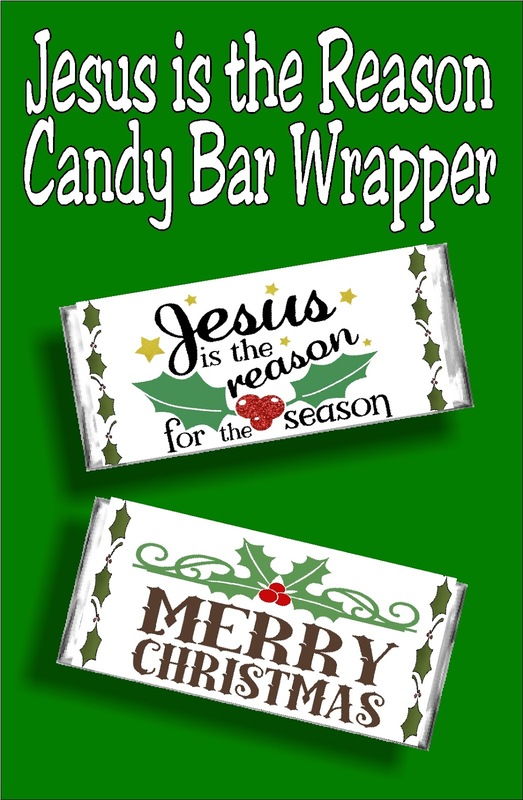 Candy bar cards are the perfect gift for everyone on your list. Give a sweet treat and a Christmas card with this beautiful printable candy bar wrapper. I absolutely love giving candy bar cards, and this time of year it's the perfect gift. You can give both a card and a treat in one and still be the #1 gift giver of the season. 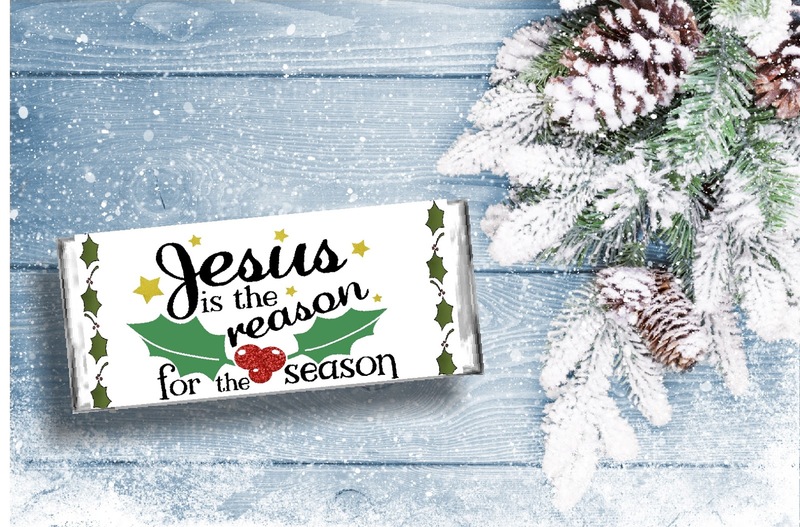 This candy bar card has a mistle toe graphic all along the side border and reads "Jesus is the reason for the season" on the front. The back of the candy bar wrapper reads "Merry Christmas"
It's a simple but beautiful Christmas gift for everyone on your list. I love to use this paper to print it out on so it's nice and glossy. 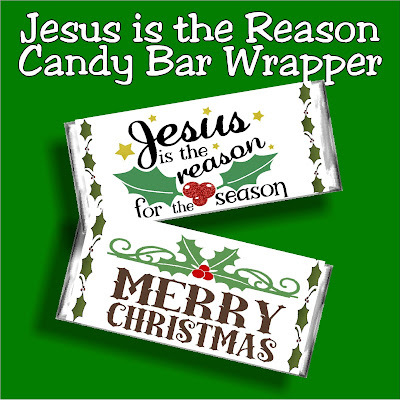 Then wrap it around a regular size Hershey candy bar. So easy. 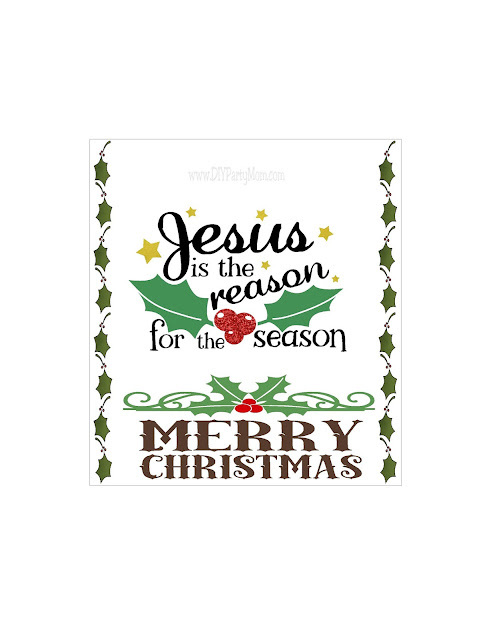 Save the printable here and then don't forget to save it to your pinterest boards for next Christmas! Hi! I'm featuring this at Best of the Weekend Link party tonight!